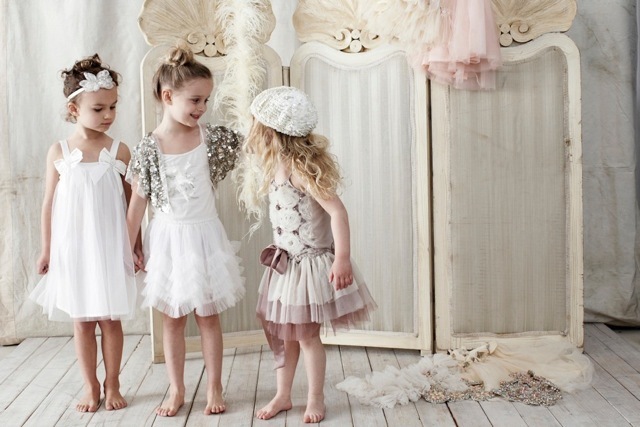 The new collection from Australian label, Tutu Du Monde, is just as whimsical and sweet as the previous collections. What little girl doesn’t love a pretty tutu? 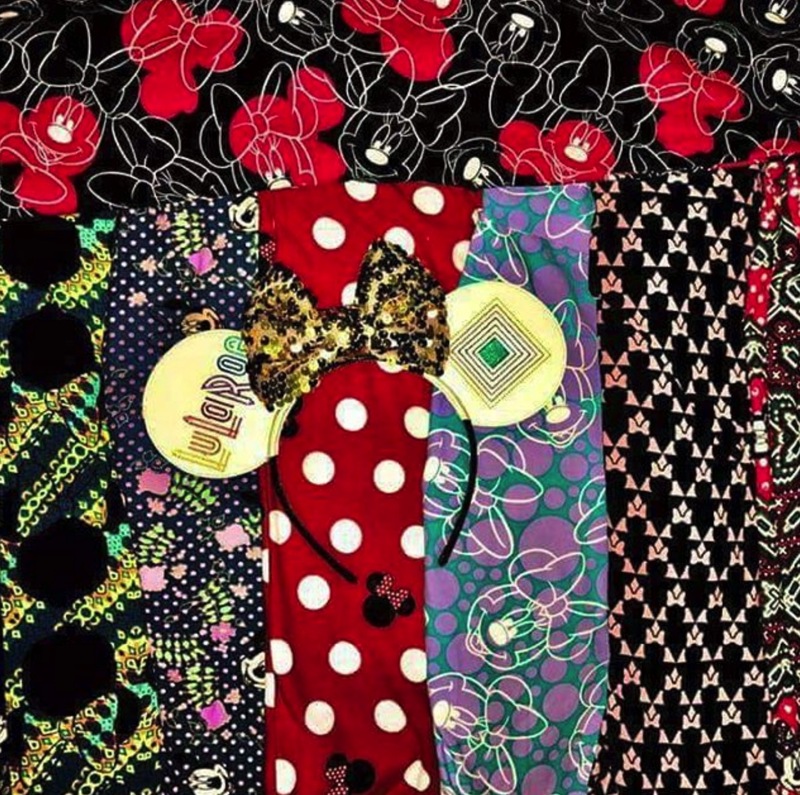 And the dresses from Tutu Du Monde are some of the most scrumptious tutus around! 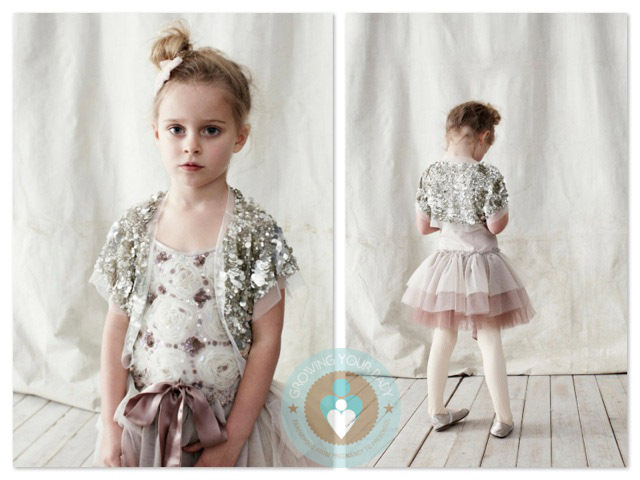 Perfect for special occasions and parties, Tutu Du Mondes’s dresses are adorned with roses, sequins and plenty of tulle. As accent pieces to the lovely dresses, designer Andrea Rembeck has included ruffled capelets, a sequined shrug, a stunning cardigan, a beaded bolero jacket, delicious berets and of course plenty of sparkly tanks to go with the princess, balerina and fairy skirts! Among our favorites in this collection is the stunning ‘All Things Nice’ tutu in berry. Lovely rosettes on the bodice, sparkly red sequins and a floaty tulle skirt all in a wonderful shade of deep red. As well, the ‘Little Muffin’ dress, a single layer of white tulle over a white cotton underlay, is just darling in it’s simple design. Finally, the ‘Blossom Tutu’ in off-white or antique pink has a stunning large tulle and crystal bead rosette in the centre of the bodice and a shortened full skirt that is just perfect for twirling! Ah, to be a little girl again! 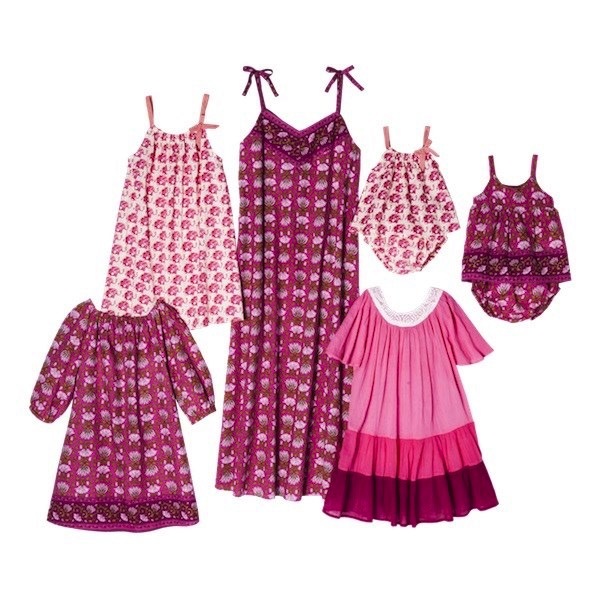 These dresses are just the right thing for weddings, parties, portraits or as very special dress-up pieces for all little princesses, fairies and ballerinas! Little Esop – Organic clothing for little ones!